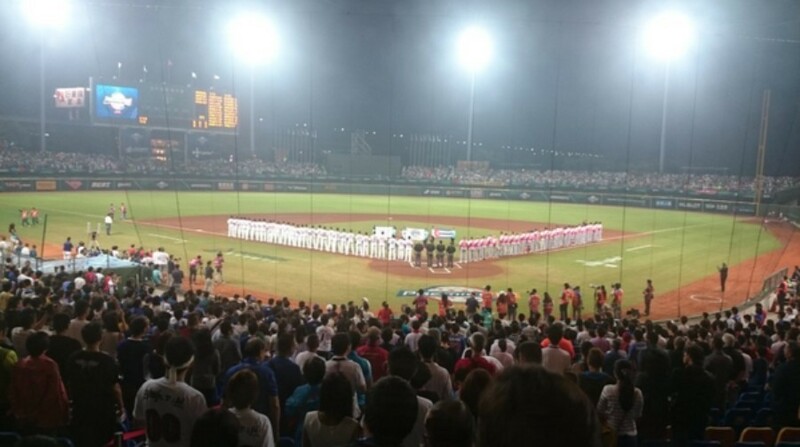 (November 15 by InsidetheGames) Japan claimed a comprehensive 10-2 victory over the United States in a meeting between the world’s top two ranked nations to maintain their unbeaten start to the inaugural World Baseball Softball Confederation (WBSC) Premier12 at the Taoyuan in Chinese Taipei. As baseball's world number one ranked side, Japan began as the favourites but fell 2-0 behind after three innings as they looked to secure their fourth consecutive victory in Group B. However, the Japanese got off the mark in the fourth to reduce the arrears to 2-1 and the match swung completely in the sixth innings as Sho Nakata struck a three-run home run to give his team a 5-2 advantage. Yoshitomo Tsutsugo scored early in the seventh innings to extend the advantage further and the contest was ended when Nobuhiro Matsuda’s grand slam home run allowed three of his team-mates to score. The victory saw Japan confirm themselves as Group B winners while South Korea ensured their place in the quarter-final phase of the tournament by sealing a narrow 4-3 win over Mexico to move clear in second place. Venezuela were also involved in a thrilling encounter as they battled back from 5-2 down to the Dominican Republic to claim a 8-6 victory, with the seventh innings proving pivotal as they ran in three scores to take charge of the match. Having won two and lost two Venezuela lie joint third in the group alongside the United States, with both teams boasting identical records. In Group A, Canada overcame Italy 4-0 to secure their fourth straight win and book a place in the quarter-finals, while leaving their opponents still looking for their first triumph having suffered defeat in each of their games to date. A high scoring clash between The Netherlands and Puerto Rico saw the European nation emerge victorious 11-7 to move them into second in the group, while hosts Chinese Taipei defeated Cuba 4-1 to join the world number four ranked team in third position.